Happy August! A friend of mine told me that her sister (a teacher) calls August, "one long Sunday night," but let's focus here, people. We still have an entire month of sand between our toes, waves splashing around us, cookouts, fresh fish, vegetables from the garden, roasting marshmallows, chasing fireflies, and watching baseball. Not to mention, did anyone see the moon last night? Wow! Last week, I blogged about the LOC exhibit, Books That Shaped America. 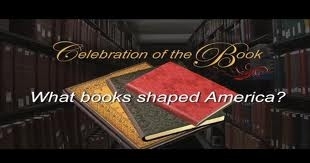 Below is a link to a video from Booktv about the exhibit. At the end, there is info on how you can comment online about the list. Enjoy!